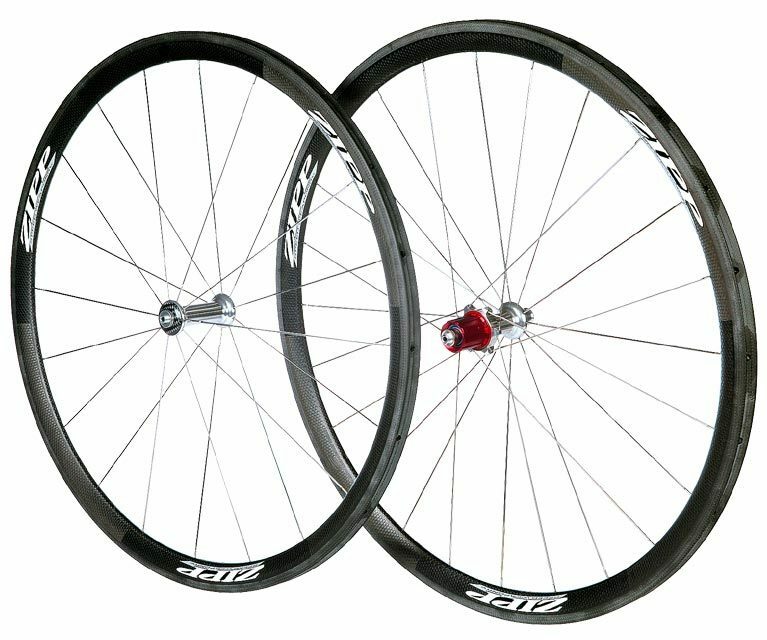 Regarded as the company?s climbing wheel, the Zipp 202 has received a revamp for 2008, so that its previous deficiencies on the flat when compared to deeper-section wheels have been minimised. Feedback from wind-tunnel testing has led Zipp to increase the aero rim?s depth to 32mm, meaning that the 202 now rolls along with four to six watts more aerodynamic efficiency than the previous 202, and is even stiffer. Zipp?s new rim uses the patented toroidal-shaped rim with ABLC (Zipp?s Dimpling technology) that allows air to remain attached to the rim for longer than with a smooth rim, allowing the rim to slip through the air (a situation that is best imagined by thinking of the flight of a dimpled golf ball). New ?Carbon Bridge? technology has increased the rim?s impact-resistance by a claimed 28 per cent, achieved through weaving a Kevlar thread to bind the layers of carbon together in all three dimensional planes. While Kevlar is not as stiff as carbon, it is 350 per cent more impact-resistant, and achieves this by distributing impact force through the rim bridge. Fortunately, this has allowed the rim?s weight to remain the same, since material has been removed from the tyre bed. As a result, the wheelset still weighs in at an impressively light 1,060g. Zipp?s 202 will retail for £1,249.99 and has now changed its distribution, with only 2008 wheels available from Saddleback on 01454 299965 or www.saddleback.com. Alternatively, check out www.zipp.com.